All temperatures Controlled, Inc offers professional refrigerator installation, repair and maintenance services throughout Metro Denver area. We understand you mean business – so do we. Time is money, so we assure you can rely on our certified technicians to have your equipment up and running as quickly as possible and keep it running with regular maintenance. Our technicians are trained to diagnose and fix any problem you may encounter with your commercial refrigeration products and perform routine maintenance and repair work to keep your systems operating efficiently. Our maintenance programs keep your equipment running at peak efficiency by adjusting all controls to factory recommended settings and then testing the performance of the entire system using the proper tools and testing equipment. For more information about our commercial refrigeration repair programs or to speak to someone about all of our services, please call us to schedule an appointment. All temperatures Controlled, Inc offers professional refrigerator installation, repair and maintenance services throughout Metro Denver area. You can rely on our certified technicians to have your equipment up and running as quickly as possible and keep it running with regular maintenance. Our technicians are trained to diagnose and fix any problem you may encounter with your commercial refrigeration products and perform routine maintenance and repair work to keep your systems operating efficiently. Our maintenance programs keep your equipment running at peak efficiency by adjusting all controls to factory recommended settings and then testing the performance of the entire system using the proper tools and testing equipment. We service all manufacturers, including Delfield, True, Randall, Kol Pak, Turbo Air and Artic Air. Slime/Mineral deposit buildup – This can become a huge issue if left untreated. Neglect can lead to costly repairs or even replacement. Low water flow to the ice machine – This might be caused by the water supply itself or the water filter might be plugged up. Water leaking into the machine – This is typically caused by a leaky inlet water valve. When this happens, ice cubes become oversized. 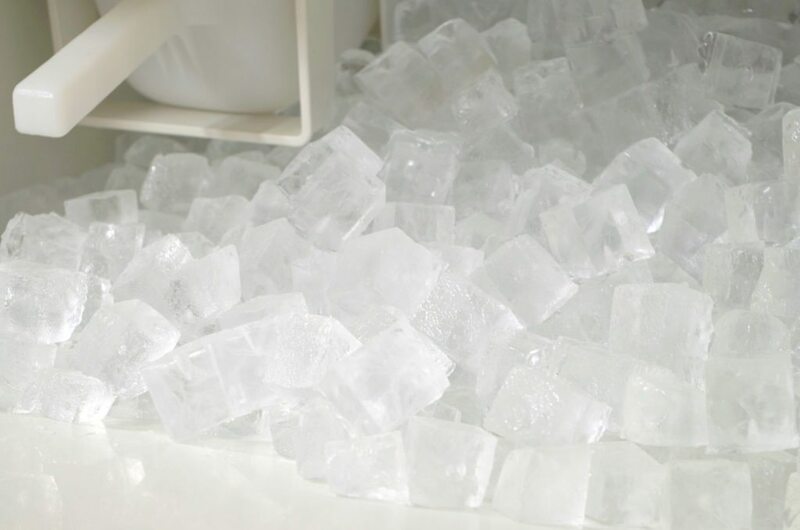 Room temperature too warm – Ice machine production is proportional to water and air temperature. Higher water and air temperatures result in lower production. High water temperature – Water in excess of 90 degrees will take too long to freeze and will trip the freeze cycle timer. In this case, the ice machine will shut down in order to protect itself. We provide our superior service to the entire Denver metro area and surrounding Front Range. Call Now! Take care of your commercial HVAC system, and it will take care of you! Preventive Maintenance Agreements (PMAs) are agreements between you and you and All Temperatures Controlled, Inc for scheduled inspections and maintenance of your heating, ventilation, and air conditioning (HVAC) system. The HVAC system is one of the single biggest use of energy in your building. In commercial applications where refrigeration is applied (combined with the HVAC systems), huge amounts of energy are used in the building. In fact, over a third of the energy used in the United States is used to heat and cool buildings. According to the Consortium for Energy Efficiency (CEE), up to 50% more energy can be saved with proper installation, sizing, and maintenance of commercial central air conditioning and heat pumps. Although the CEE study did not measure residential systems, a compelling case can be made that proper maintenance can save homeowners up to 50% as well. The cliche "out of sight, out of mind" is often the reason for neglected maintenance on your commercial HVAC system. HVAC systems are usually installed where they aren't seen, such as in a section of the basement, a closet, on rooftops, or in mechanical rooms, making them easy to ignore. The systems are simply taken for granted, until they fail. Decreased efficiency, utility overpayment, discomfort, loss of productivity, premature replacement, and higher repair costs are the result. Savings: PMAs typically more than pay for themselves through higher efficiency, lower utility bills, and contractor discounts. PMA customers receive a discount on all parts and services performed during the entire year and priority scheduling. Continuity: That way, you get to see and know the same service technician, and he or she becomes more familiar with you and your equipment. We Service and Repair ALL brands of commercial, heating, air conditioning. We provide customized preventive maintenance contracts, 24/7 emergency radio dispatched service, and a flexible installation schedule for all your specific operational needs. Preferred Customer Care 24 / 7 Emergency Service Free Installation Estimates Other Service Information: Our service department is here to meet all of your service needs from emergency repairs to scheduled maintenance. For a free estimate on a Commercial Maintenance Agreement give us a call we will schedule you an appointment at your convenience.